I wanted to quickly highlight two bites from Sobaya: eel over rice and pork belly. Literally had this a few hours ago and miss it already. Michelle and I obsess over unaju and have been craving it lately so we decided to make this a monthly ritual. We were both starving as we sat down and when the unaju arrived in its mysterious box, we uncovered it slowly, as if it were a delicate artifact. 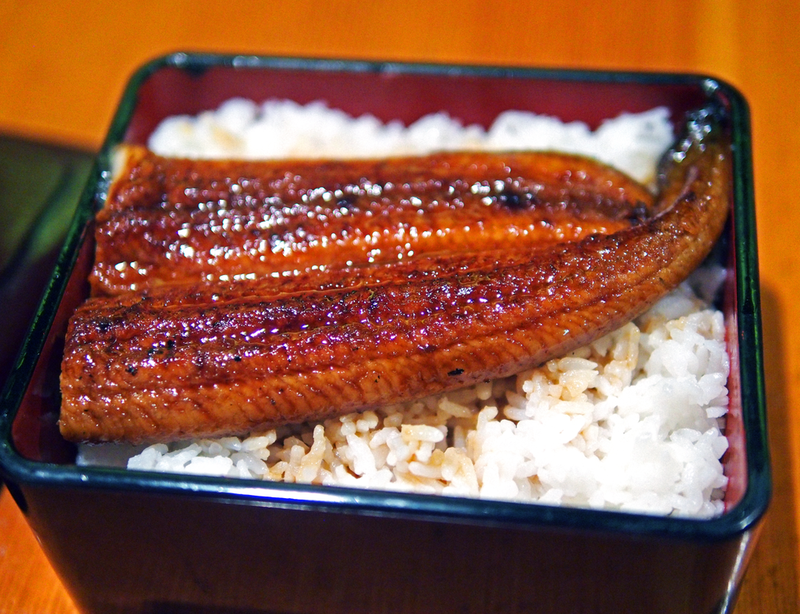 At most places, processed pieces of eel are drowned in a sauce that is flagrantly sugary to mask its rubbery texture. Sobaya's version is consistently balanced - the eel , cooked to perfection, eagerly parts with the slightest pressure from the chopstick. The perfect amount of sheeny glaze covers just enough of the eel and cascades into the waiting bed of rice below. Today, Michelle ordered something amazing that I have not tried before - the braised kakuni in broth (dashi, mirin, sugar, and soy sauce) accompanied by a delicious egg with yolk that's ready to party. Next time, I'm dunking some rice into the broth because the abundance of flavor needed a buffer. The meat was unbelievably soft with just the right amount of fat vs lean ratio. Puts that overly salty and dry pork belly at Ippudo to shame. Whether you pick the pork belly, the eel over rice, or both plus a bowl of tempura soba (cough).....you can't go wrong. Can't wait until December.